WEST CHICAGO, IL (November 13, 2013) – USAgain, the textile recycling company based in West Chicago, IL, has announced the winners of its inaugural Green-T Awards. 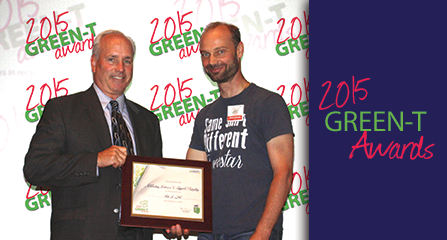 Among them is Divine Mercy Polish Mission Church, recipient of the award for Excellence in Green Fundraising. The Green-T awards seek to recognize and positively reinforce individuals and organizations that support recycling and sustainability in Illinois. The church recycled a total of 9,779 pounds of clothing and textiles in 2012, a truly impressive amount worthy of recognition. In addition to diverting a significant amount of clothing from landfills, Divine Mercy featured the textile recycling program in their newsletter, which helped boost the amount of items recycled. “As the community of faith, we are delighted to contribute in keeping our earth clean and preserve its beauty as God’s creation,” said Father Ted of the church. By recycling 9,779 pounds of textiles, the church saved over 68,000 pounds of CO¬2 from entering the atmosphere; they also saved over 13 million gallons of water through their commitment to recycling. Divine Mercy Polish Church’s commitment to textile recycling allowed the community to become more sustainable while also helping the church raise money. 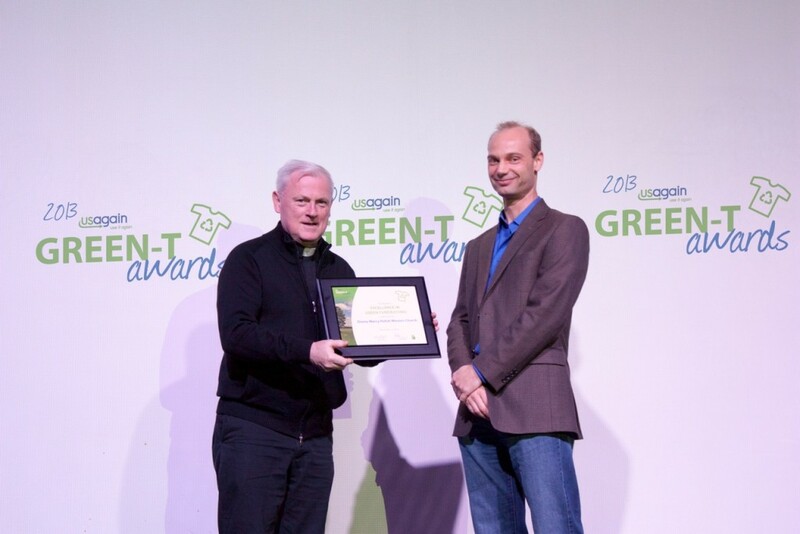 Other recipients of USAgain’s Green-T Awards include Larsen Middle School, Will County Forest Preserve District and Northwestern Memorial Hospital. For a full list of award recipients, visit http://www.usagaingreentawards.com/winners.